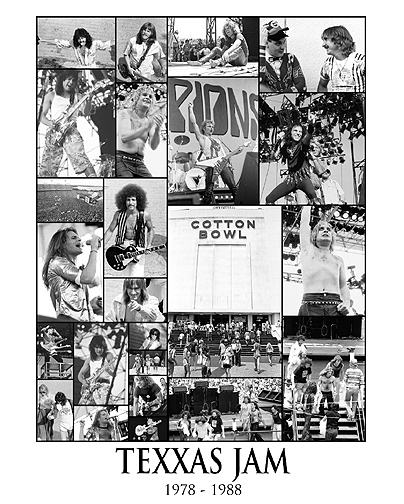 or all three for $30 - Shipping extra. 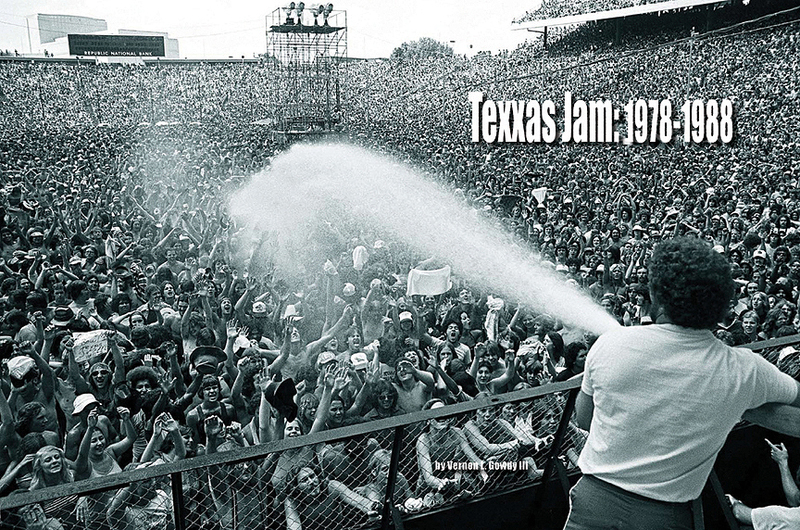 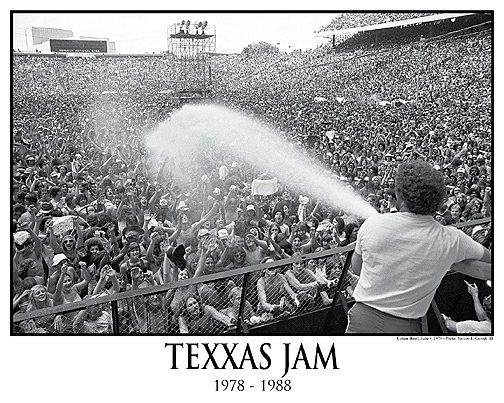 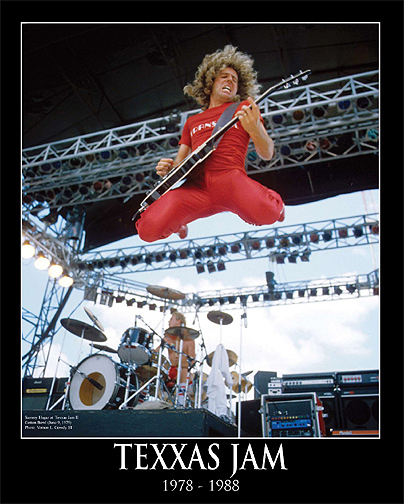 ORDER YOUR TEXXAS JAM POSTERS NOW! 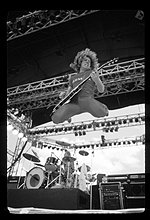 Photos of Aerosmith, Ted Nugent, Journey, Atlanta Rhythm Section, Eddie Money, Van Halen, Cheech and Chong, Heart, Head East, Blue Oyster Cult, Boston, Sammy Hagar, Eagles, Cheap Trick, Foreigner, April Wine, REO Speedwagon, Foghat, Journey, Point Blank, Uriah Heep, Triumph, Styx, Rush, .38 Special, Ozzy Osbourne, Bryan Adams, Gary Moore, Scorpons, Grim Reaper, Victory, Bachman Turner Overdrive, Dio, Krokus, Keel, Whitesnake, Farrenheit, Dokken, plenty of crowd shots at the Cotton Bowl, Astrodome, backstage photos and more.